The court was said to have struck out six charges of treasonable felony brought against Kanu by the Department of State Services (DSS). 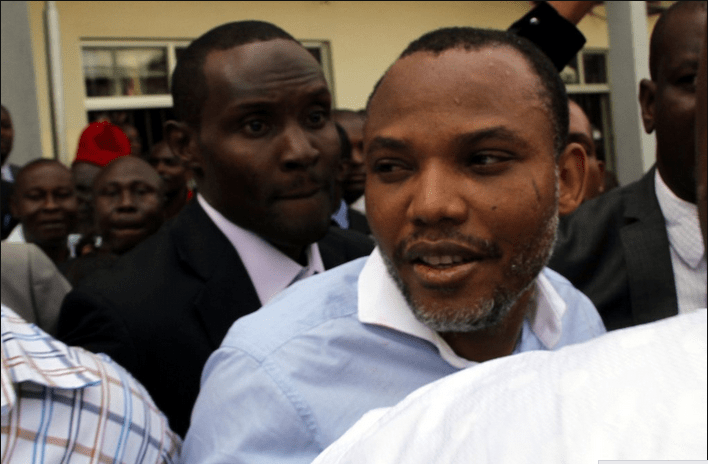 Chuks Muoma (SAN), counsel to Kanu had urged the court to send his client to prison so that his family could have access to him while Mohammed Diri, counsel to the Department of State Services (DSS) prayed the court to keep Kanu in the custody of the DSS for security reasons. After listening to the both of them Judge Tsoho gave the order that Kanu be remanded in Kuje prison pending his trial for treason.